We know that hiring interior house painters and inviting them into your home to paint is an act of trust. Every day, on every job, our painters earn the trust of our customers by making sure the interior painting project is completed correctly, promptly and with minimal interruption for the customer. Before we begin painting, you’ll meet the crew leader and other painters who will be working in your home. All of Palette Pro Painting’s crew members are employees — not subcontractors — who have been trained through Palette Pro Painting & Renovation’s formal apprenticeship program. 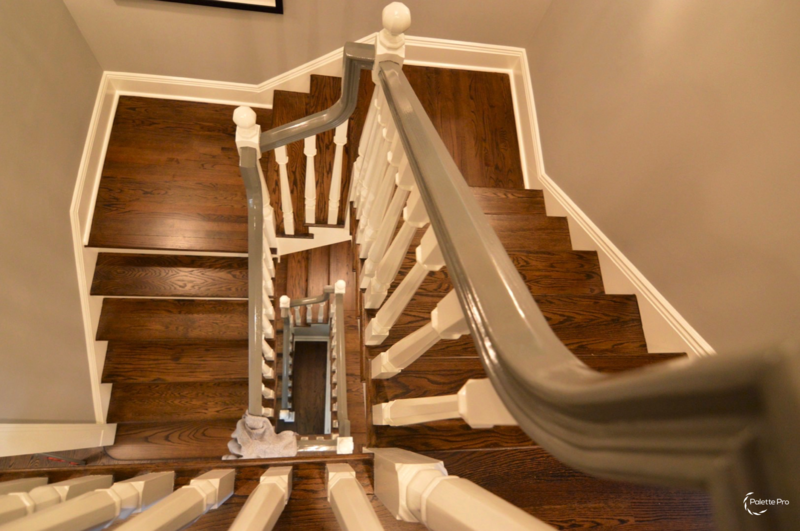 Our painters use the right tools and equipment for the job and high-quality Benjamin Moore and Sherwin-Williams paint (or the customer’s preferred paint) in order to ensure consistently good results. Palette Pro painters double check painting and color choices, set up a dedicated site for tools and ask about any pets we need to watch out for. We review everything with you before we begin to make sure we understand exactly what you want. Objects and surfaces that will not be painted will be covered and protected. We prepare the surfaces carefully, knowing that prep work is the most important part of any paint job. Only then do we begin painting. The result of all this preparation: A pleasant experience and a beautiful paint job to enjoy for years to come. Out of all the house painters out there, why should you work with us? Palette Pro Painting’s team of indoor house painters focuses on nothing but achieving the best work. From house paint color combinations to matching the walls with the decor, they are meticulous with the tiniest of details. When it comes to interior house painting, our painting contractors take their job seriously. Tell us what you want and we’ll do the rest. We’ll show you the possible house paint color combinations that are perfect for your home. Since we want the result to be as personal as possible, we’ll work with your preferences in mind, as well. By combining your ideas with our expertise, we’ll nail the right shades for you. Browse our gallery of past interior house painting projects. 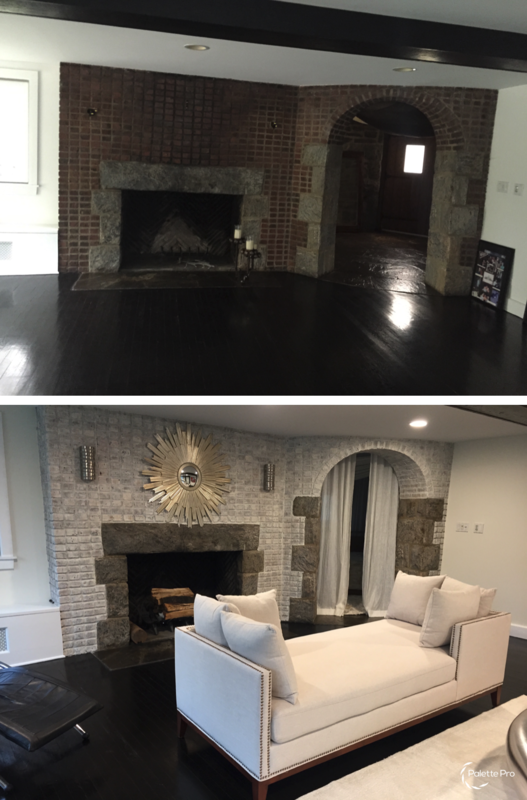 If you are ready to work with a professional painter who knows how to achieve the perfect texture, hue, and mood for your interior painting project, please contact or call us today at 1-800-687-9470 for your free, no obligation appointment.